When you think of Harley-Davidson, you probably think of cruisers with custom pipes, black leather and biker bars. Harleys are the classic American bike, and tonight the company will unveil its latest, the XR1200X. The Harley-Davidson XR1200X breaks from contemporary Harley design and embraces the company’s racing roots. The bike is all black, including a blacked-out powertrain and exhaust and black wheels, leaving nothing to polish after a hard day’s ride. The XR1200X is aggressive enough to attract Bubba Blackwell and Seth Enslow, two extreme riders that both pulled off full flips on an early edition of the new Harley. 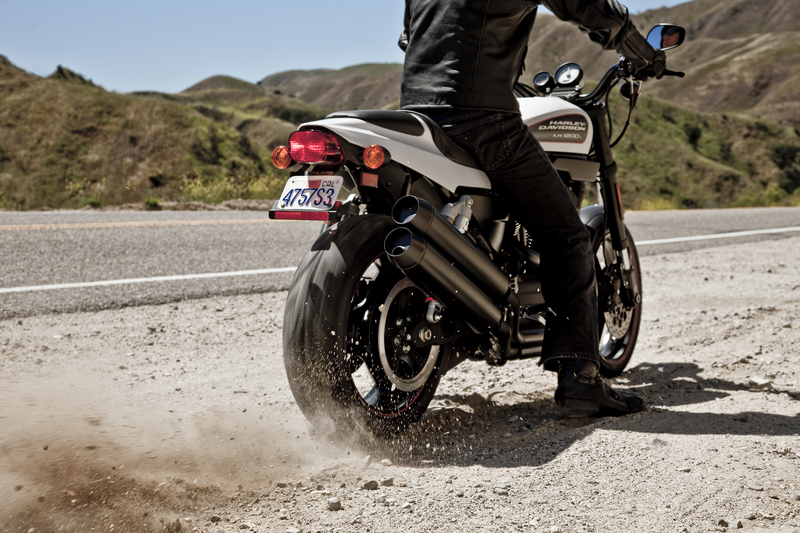 The XR1200X is being unveiled tonight at 6:30 PM CT in Harley-Davidson’s hometown, Milwaukee. The bike will be available at dealerships later this summer for $11,799.